Anyone that has been following my blog will remember my writing about a few construction projects that are water related. Such as the new buildings at Loch Raven, the contractor busting a hole in the ten foot conduit that supplies water to Baltimore, another contractor digging up the foundation to an old pumping station, the attempts to save the Clifton Gate House, the Roland Tower, the residence at Montebello, etc. When I first wrote about the work along Loch Raven, I wrote about the house and buildings they were tearing down. After being notified of this project, I went to investigate and saw a bunch of metal signs. 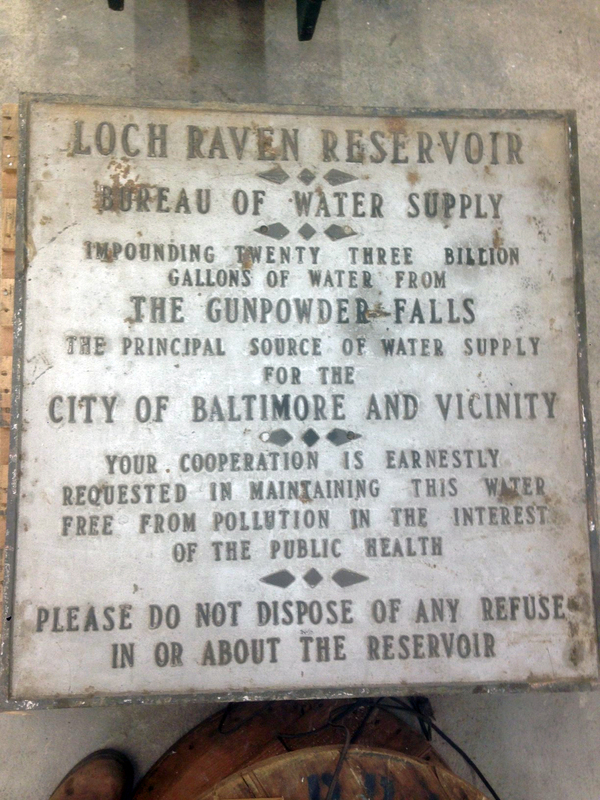 Not necessarily ultra historic, but a part of Baltimore’s Water Supply History nonetheless. I was able to retrieve from the contractor, 2 of the 8 that were there. The other six were taken by a company the reuses old building materials. Here is one of the eight signs. This all happened a few months ago. The other day I received an email. One of those courtesy type ones from the big bosses downtown, trying to keep me in the history loop. Well, I was dumbfounded when I read the email. It just said FYI and had the attached photo along with two other attachments. I couldn’t believe what I was seeing! 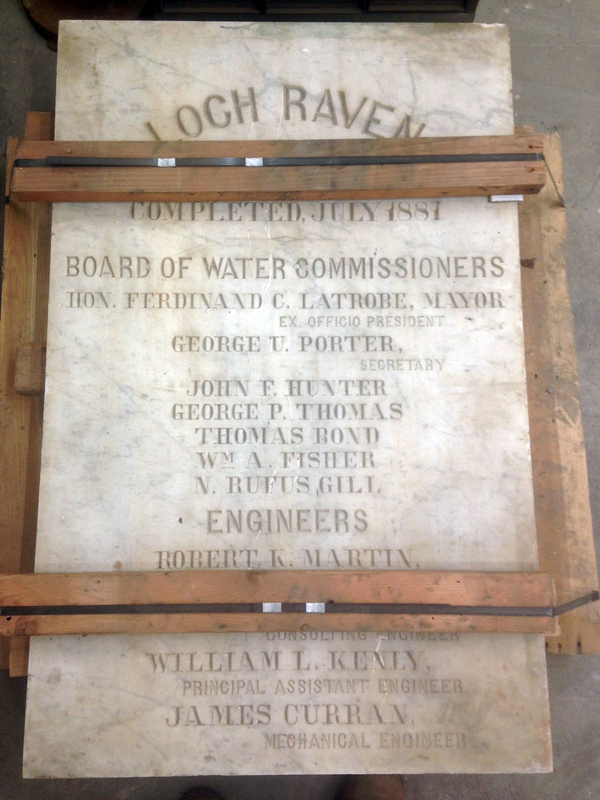 This photo is of the marble plaque that was in the original 1881 gate house to the first Loch Raven Dam!!! i always wondered what happened to this thing. The third attachment is a quote, only partially shown to protect the parties involved. 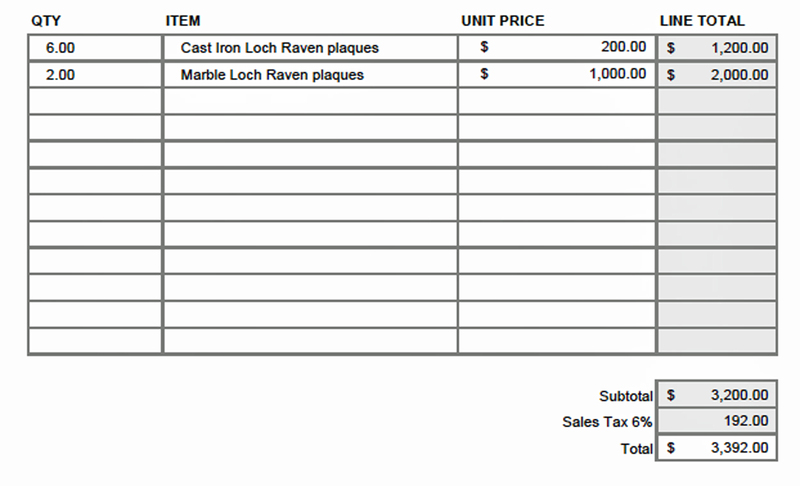 Two marble plaques? The quote went on to say that the other one was dated 1887!! Holy crap! Only one water works related to Loch Raven was built at that time and that was the Clifton Gate House!! My eyes were playing tricks on me!! This couldn’t be! But wait! How did this company get these things and were they really trying to sell them back to the City? City property??!! I don’t think I ever cussed in an email to one of the bosses downtown but I just couldn’t contain myself “What the hell! This is City property. How can they charge us for something that is ours? !” I suggested he gets the Environmental Police involved to check this out. If not, tell them I will give them $500 and we won’t press charges. He said he turned it over to the EP. And he did. Today I received a copy of the investigative report stating that these items were picked up by accident and would be returned to the City. And they were this afternoon!! I’ll be waiting for a follow up post !! Every time I get started to write on this, I get distracted! Mostly by the on-site contractor who continues digging up things that aren’t on the contract drawings! With all the recent events happening in Baltimore and the rest of the US, it seems a mute point to write about trying to save history….